Over a decade after the discovery of oil and gas in commercial quantities in Ghana, it has become relevant to improve the institutional as well as legislative framework regulating the industry. This is necessary to ensure that proceeds from the oil and gas industry are used for the benefit of the people, for whose welfare the oil and gas are entrusted in the hands of the President. This is critical for policy development as many countries rich in oil and gas have been hit with disasters upon the discovery of oil rather than it being a boost to the economy. It is apparent that Ghana has adopted the Norwegian model of regulating the oil and gas industry. Under the Norwegian system which was replicated with changes in Ghana, the executive, represented by the Minister of Energy and Petroleum, concentrates on decision making and representation of the government’s interest in oil and gas production. There is also the Ghana National Petroleum Corporation (GNPC) which focuses on commercial mandate and competition with foreign International Oil Companies (IOC and then the regulatory body, Petroleum Commission of Ghana which provides technical and advisory role to the minister. These are key institutions whose mandate should enable the resource to be beneficial to the people. Act 919, was enacted in 2016 to replace the Petroleum Exploration and Production Law of 1984 which was deemed to have become obsolete and no longer in line with modern activities in the petroleum industry. Its main object is to provide for safe, secure, sustainable and efficient exploitation and utilization of petroleum in order to achieve long term benefits for the welfare of the people of Ghana. At the background of this, the sector Minister has been empowered to make final decisions in the exploration of petroleum resources in Ghana. Under the Act, final decision to open an area. for petroleum activity as well as the closure and redefinition of an area is wholly reserved for the Minister. The Act uses “shall” which has been interpreted to mean mandatory and imperative. This suggests that the Minister is the only individual clothed with the proper capacity to make such determination. These two decisions are however, technical decisions which should not be solely left for Minister to use his sole discretion to determine but a committee made up of technicians, geologists and people knowledgeable in the industry to make such a critical decision. It is true that most likely than not, the Minister would rely on technical advice but the power to solely take the decision is overbearing. Again, the Act gives the Minister the discretion to choose whether or not to consult the Commission prior to the making of certain critical decisions. The Act suggest that the “Minister “may” in Consultation with the Commission”, grant reconnaissance license, enter into direct negotiations with any individual in order to achieve optimal exploration, determine whether an area to be relinquished should be smaller than the statutory provided area, determine the manner and place in which petroleum is delivered. The wording of the Act suggests that the Minister may choose to either consult the Commission or otherwise. This should not be so as the obligations mentioned are also technical which require experts to determine. The consultations must therefore be obligatory and the Commission’s recommendations must necessarily be obeyed by the Minister. Further to this, the Minister is granted the sole discretion to decide not to enter into a petroleum agreement after the tender process on “stated reasons”. Per the wording of the Act, there should be no justifications for such stated reasons. The Minister can therefore use this in abusing his/her powers and further to frustrate applicants or to pursue rent-seeking objectives. Moreover, the Act gives the final decision on the postponement of area of development to the Minister. Even though the condition for the exercise of such powers is public interest or national interest, the Act offers no definition of public interest or national interest. The 1992 Constitution under article 295(1) defines ‘public interest’ to include any right or advantage which inures or is intended to inure to the benefit generally of the whole of the people of Ghana’. This may also be abused by the Minister in the exercise of same. The Minister is further granted the sole discretion to grant license for the installation and operation of a facility for transport, treatment and storage of petroleum. The Act also prevents applicants from entering into contract of significant value or commence construction works until the Minister grants the license. The discretionary powers of the Minister are so unfettered that without his written approval, a contractor or licensee cannot mortgage a participating interest under a license to operate and install treatment facilities. Section 57 does not provide any conditions or guidelines that the Minister must adhere to in approving the mortgage of the participating interest. That again leaves room for abuse. It should however be noted that the Act in some instances places some checks on the exercise of this discretion. The Commission is required to be consulted prior to the making of certain decisions as the Act uses the word “shall” which makes it mandatory and obligatory for the Minister to comply. In undertaking the evaluation of interest in relevant areas prior to opening it for petroleum activities, for instance, it is mandatory for the Minister to consult with the Commission. Further to this, the Minister is required to consult the Commission prior to the changing of operator where the operator does not meet the requirements. Again, the Minister is also required to consult with the Commission before extending the exploration period beyond seven years and before the occurrence of decommissioning in a Petroleum Agreement. Following the decision-making role given to the Minister under the Act, it is strongly suggested that some amendments be made to the existing law to include the under-listed considerations which are critical for the role. Most Ministers appointed since the discovery of petroleum in Ghana, lack the requisite knowledge and capacity to solely take decisions with respect to the industry. They have little or no knowledge in the area of oil and gas exploration. 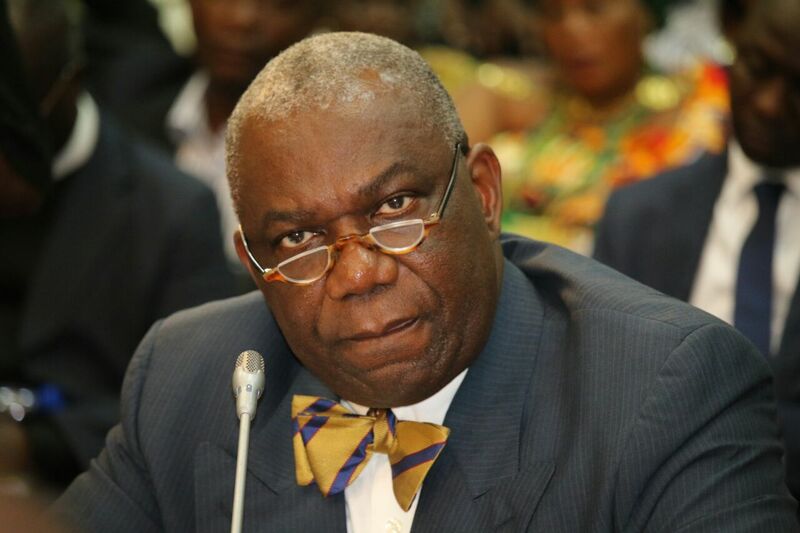 Ghana has had five ministers following the discovery of petroleum in commercial quantity. Its first Minister Joseph Kofi Adda holds a Bachelor of Science Degree in Politics and Economics from the Indiana Wesleyan University. After him came Felix Owusu Adjapong who holds a Bsc in Land Economy from the Kwame Nkrumah University of Science and Technology(KNUST), Housing, Planning and Building at the Bouwcentrum Institute in Rotterdam, Urban Land Appraisal at the University of Reading in England and Barrister at Law at Ghana School of Law. Following a change in government in 2009, Joe Oteng-Adjei who graduated from KNUST and has a PhD in Power System from the University of Saskatchewan, in Canada was appointed the Minister. He was succeeded by Emmanuel Armah Kofi Buah who holds an LLB from KNUST and a Master’s degree in Management from the University of Maryland, University College in the United States of America and presently Boakye Agyarko who holds a degree in Economics and political science from the University of Ghana, advanced professional certificate in Banking from the American Institute of Banking, Master of Business Administration from Pace University New York, in the United States of America. From the above descriptions, none of the ministers have the technical expertise in the area of Oil and Gas exploration to be solely left with technical decision making in such a specialized area. Admittedly, the role as Minister does not require expertise in the field, and that is why the law should not give the Minister the power to solely make such important decisions which can easily be abused to the detriment of the welfare of the people of Ghana. They are often clueless about the technical reasoning behind certain decision making. They often rely on the technical know-how of both the Commission and the Corporation whose recommandations the Act does not make binding on the Minister. It is therefore recommended that the decision making should rather come from a ministerial committee composed of competent individuals from both the Corporation and the Commission. This will assist them in making informed decisions clothed with the requisite intellectual consideration rather than on a sole mind of a Political appointee. Again, the background of persons appointed to be Ministers for this special area of Oil and Gas exploration should be highly considered prior to the making of such appointments.